To make the most of your sea travel, you need to check out the best cruises out of the USA and take travel in ultimate style, comfort and luxury. Planning the perfect voyage takes considerable effort to ensure that you get all factors right. Despite what the name might imply, Celebrity Cruises host anyone willing to sample their luxurious offerings. The cruise liner is one of the most respectable cruise ship companies operating from the US. It operates three classes of ships, the Solstice, the Millennium and the Xpedition. If you prefer a smaller crowd, you can sail on the Celebrity Xpedition, which boasts a carrying capacity of 100 passengers. If you prefer sailing on a grander cruise Hawaii, you are the perfect fare for the Celebrity Silhouette, which boasts a full board capacity of 2,886 passengers. Regardless of the size, each ship carries one crew for every two passengers to tend to your every need. The fleet departs from Miami, Honolulu, and Seattle before sailing across the globe. As the ship cruises from Florida to sail the high seas, you have a choice of excellent onboard activities to occupy the time before making a stop at famous destinations in the Caribbean, Asia or Europe. Florida Cruises range from 2 to 18 nights and often include delightful land excursions, making it one of the best cruises out of the USA. 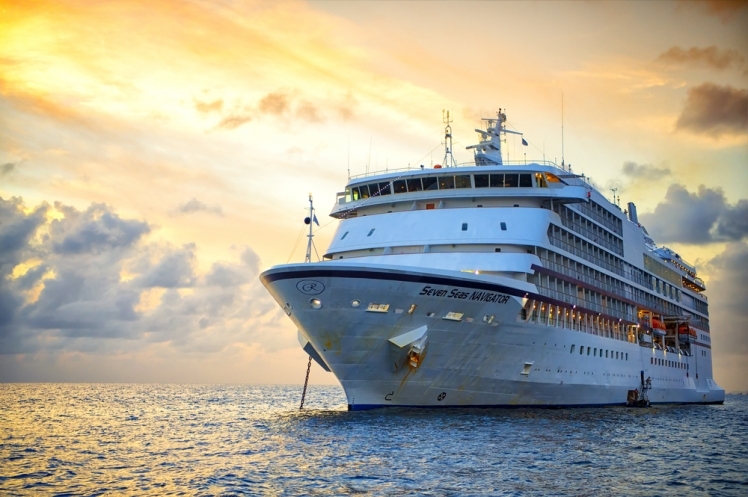 This cruise line offers a total 269 destinations spread over 77 countries on six continents. The cruises out of Texas will sail you to Mexico and the Caribbean just as quickly as it will take you to Europe, New Zealand and Australia. Depending on your schedule and itinerary, you can enjoy local fare and go on shore excursions that include nature hikes. 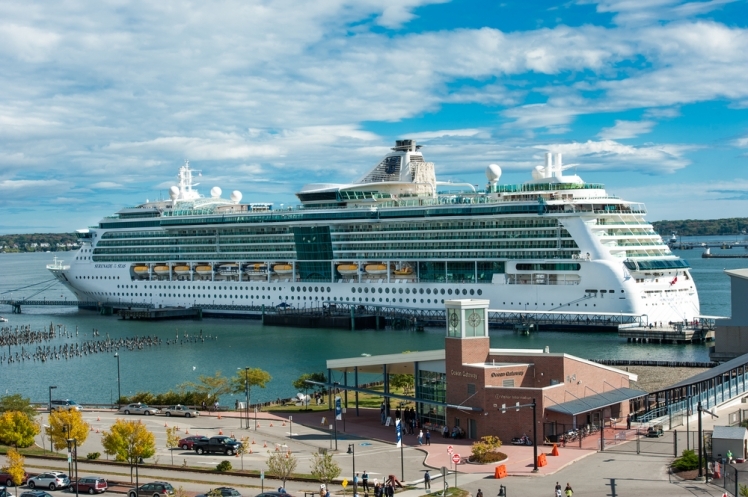 The luxury liners depart from various ports in the US, including Boston, Florida, and Fort Lauderdale, as well as other international ports around the world. The Florida cruises company boasts an impressive fleet with varying capacities to ferry cruisers around the world. Mini-metropolises such as the Oasis of the Seas accommodates a crowd of 6,000 with sheer luxury while the smaller varieties, such as the Empress of the Seas, carries 2,300 guests. To keep the service level top-notch, these cruises from Orlando have a crew member for every three guests. Each liner features a broad range of onboard activities to suit people of different taste and age groups. True to its reputation, the Carnival Cruise Line offers you a festive atmosphere and myriad of entertainment options. The company’s fleet of 24 cruise ships departs from numerous cities across the US, including New York, Baltimore, Los Angeles and Miami. Among other exotic destinations, these luxury ships will transport yours to the Caribbean, Alaska, Mexico, Europe and Hawaii. The regular cruises from Florida vary between 2 and 15 days to cater to your unique needs. There is one crew member for every three passengers boarding any of the liners. The itineraries vary across the ship as does the shore excursions. You can sip on wines in the vineyards of France, embark on a zip lining adventure in Mexico or sunbathe in fabulous Bahama beaches. While underway, the cruises from Orlando feature plenty of activities to entertain guests. From comedy acts and nightclubs to sports courts and piano bars, you are bound to have a swell time. The specialty restaurants and the main dining room or the Lido deck buffet supplies you with sufficient culinary delights to ensure you have a great time on one of the best cruises out of the USA. Princess cruises made its debut though a hit TV show in the late 70's dubbed "The Love Boat." Since then, the cruises out of Texas have been making waves across the globe, ferrying the passengers to exotic destinations including Europe, Mexico, Hawaii and the Caribbean. 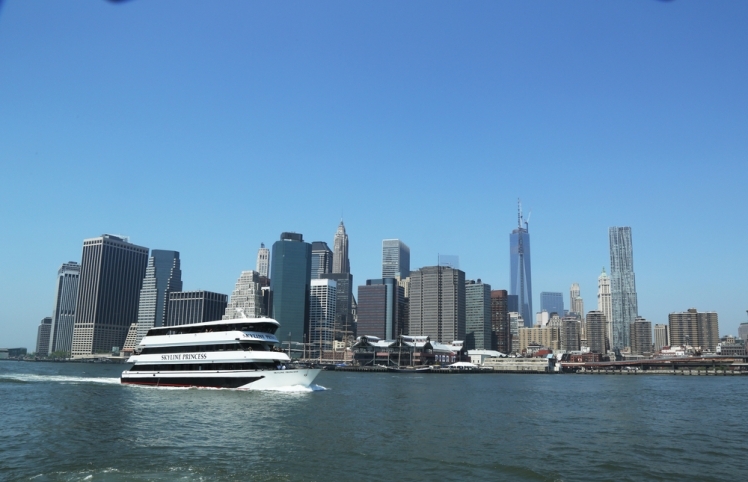 With a fleet of 17 ships, Princess Cruises departs from the cities of Los Angeles and New York. You can have your pick from large boats to midsize ships when planning a cruise Hawaii residents would envy. Regardless of the ship you choose, you'll receive personalized service in a refined atmosphere as you travel the high seas. Depending on your schedule and flexibility, your voyage can be as short as three days or over 100 days long. Upon docking, you can embark on a desert safari in Dubai or a guided tour in Barcelona. Alternatively, you can opt for cruise tour, a package that allows you to spend a couple more nights at a particular destination that strikes you fancy. If you like to travel in sheer opulence in midsize ships with a first-class passenger to crew ratio, then you are the perfect guest for the Holland America. The Florida cruises cater to the affluent members of the society, indulging them in many luxuries as they travel toward exotic destinations. They will cater to your every need as you sail to South America, Southeast Asia, Europe and Canada among other tourist destinations spread across the globe. You can sail for a day or up to 111 days after departing from San Diego and New York. While underway, you can engage in one of the numerous enrichment programs. You can have you pick from mixology workshops, digital photography or work up a sweat in Pilates or yoga classes and then cool down in the spa. Although many of the shore excursions incline towards adults, they have signature collection package that suits children of all ages. Otherwise, you can take part in bike tours, helmet diving or volunteer opportunities. Culinary wise, you can mingle with the rest of the passengers as you partake the scrumptious five-course meals or sample the Pinnacle Grill’s offerings of fresh seafood. Alternatively, there's 24-hour room service for higher dining flexibility for your meal times on the best cruises out of the USA.